Looking to get some racing in over the winter? 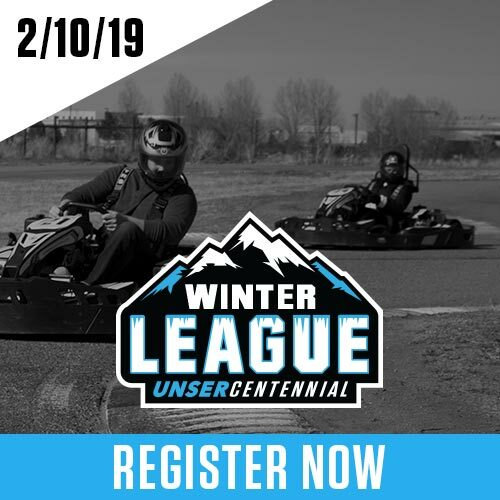 Join us at Unser Karting & Events Centennial for Winter League, November 4th through March 10th. Package includes a 5 minute warm up session, and 2 win-by-position races.